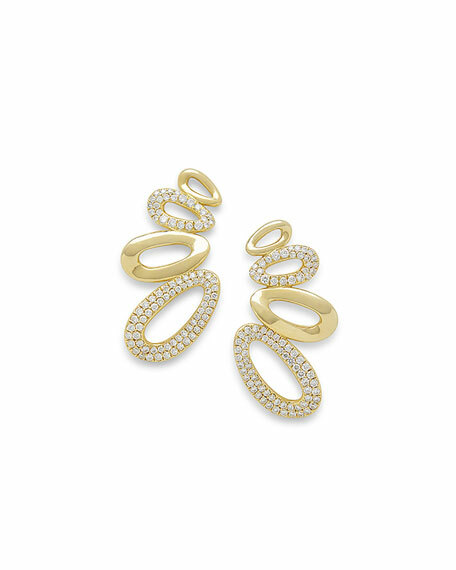 Ippolita earring climbers from the Cherish Collection. Four curved, oblong open drops. Two pavé white diamond links. 1.07 total diamond carat weight.